The federal government’s ongoing efforts to hasten the processing of security clearances hit a speed bump this week, as an auditor ruled the Office of Personnel Management unfairly awarded a contract to a company seeking to provide support services in background investigations processing. The Government Accountability Office decision comes shortly after OPM stood up the nascent National Background Investigations Bureau. Two companies filed a protest with GAO after OPM awarded the $117 million contract to Primus Solutions, a division of ARSC Federal. 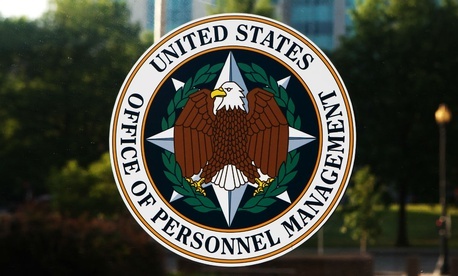 The contract was for at least two years with options of up to five, and was intended to provide OPM employees support in processing background investigations. Some elements of the cost to the government were so low, OPM’s price evaluators wrote in memoranda before final negotiations took place, that Primus “may not fully understand the technical requirements” they were competing to provide. OPM’s contract specialists did not consider those concerns, however, and on some parts of the contract Primus’ price actually went down after negotiations. Additionally, the individual Primus had identified to be program manager has since left the company. GAO said when OPM reopens discussions with Primus to determine who will take that individual’s place, they should “engage in meaningful discussions” with the protesting companies to “make a new source selection” for the contract. GAO also instructed OPM to reimburse those companies for their attorney and other fees associated with their protests. An OPM spokesperson said the agency is "evaluating the GAO decision and considering our options." A Primus official declined to comment, noting the acquisition process is still ongoing. The contract was set to provide an “indefinite delivery” of services over its two-to-five year lifespan.